This catalog is interactive. Scan the QR codes to get more information on our products. Big Bang Unico Golf Blue Carbon. In-house Unico column-wheel chronograph movement equipped with a unique additional mechanism dedicated to golf scoring. 72-hour power reserve. Ultra light case and bezel in Carbon Fiber and Blue Texalium. Black rubber with Carbon Fiber Decor and blue Calf leather strap. Limited edition of 200 pieces. Big Bang Unico Special One. In-house Unico column-wheel chronograph movement. 72-hour power reserve. Blue ceramic case and bezel. Black Rubber and Blue Alligator strap with red stitching. Limited edition of 200 pieces. Big Bang Unico Ferrari Carbon red ceramic. Carbon case inspired by the car brand's iconic lines. Bezel in vibrantly-coloured and patented red ceramic. In-house chronograph Unico movement. 72-hour power reserve Interchangeable strap. Limited edition of 500 pieces. Big Bang Unico Ferrari. Unico column-wheel chronograph. 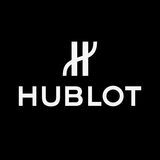 In-house Hublot movement. 72-hour power reserve. Case and bezel inspired by the brandâ&#x20AC;&#x2122;s iconic lines. Black rubber and black alcantara strap and additional black Schedoni leather strap with embossed decor. Limited edition of 1000 pieces for the Titanium model, 500 for the King Gold and 250 pieces for the Magic Gold model. Big Bang Meca-10 10-Day Power reserve Nicky Jam designed in collaboration with famous reggaeton artist. King Gold bezel set with 48 Baguette-cut Orange, Yellow Sapphires and Tsavorites. Black rubber and "X" colors Alligator Strap. Limited Edition of 30 pieces. Official Watch of Chelsea Football Club. Self-winding chronograph movement in a stainless steel case. Bezel made of blue Texalium. Blue sunray dial adorned with Chelsea’s logo displayed at 12 o’clock. Blue alligator strap stitched on rubber. Limited edition of 200 pieces. Classic Fusion Chrono Berluti. Designed in collaboration with Berluti. Chronograph movement. Dial and strap made from patinated leather with emblematic Scritto motif. Limited edition of 100 pieces for the Bordeaux model and 250 pieces for the Ocean blue. Classic Fusion Chronograph Italia Independent. Another creation designed in collaboration with the Italian brand and the famous Italian tailor Rubinacci. Chronograph movement. Dial and strap made of genuine and vintage Rubinacci fabric. 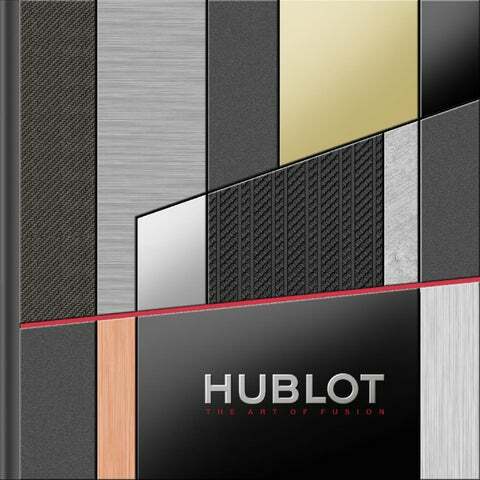 Limited edition of 100 pieces for the Titanium and Ceramic models and 50 pieces for the KingÂ Gold. Delivered with Italia Independent sunglasses. Classic Fusion Chrono Juventus FC. Ceramic Case. Titanium and Carbon bezel. Chronograph movement. Official watch and Official Timekeeper of the Juventus Football Club. Limited edition of 200 pieces. Official Licensed Watch of the UEFA Champions League™. Blue ceramic case and bezel. Chronograph movement. Limited edition of 100 pieces. Classic Fusion Aerofusion Chronograph Orlinski Blue Ceramic. Designed by Richard Orlinski, the worldâ&#x20AC;&#x2122;s bestselling contemporary French artist known for his coloured Pop Art-style multi-faceted beasts. Faceted case and bezel in blue ceramic. Self-winding skeleton chronograph movement. Black smooth rubber strap. Limited edition of 200 pieces. Big Bang Unico Paraiba. For the first time ever in the watch industry, Hublot has decorated a watch with the turquoise brilliance of a cuprian elbaite. The Big Bang has been electrified with the naturally vibrant and intense colours of the Paraiba Tourmaline, a stone whose rarity can only be fully appreciated when learning that, on average, for every 10'000 diamonds mined, only a single Paraiba Tourmaline is found.